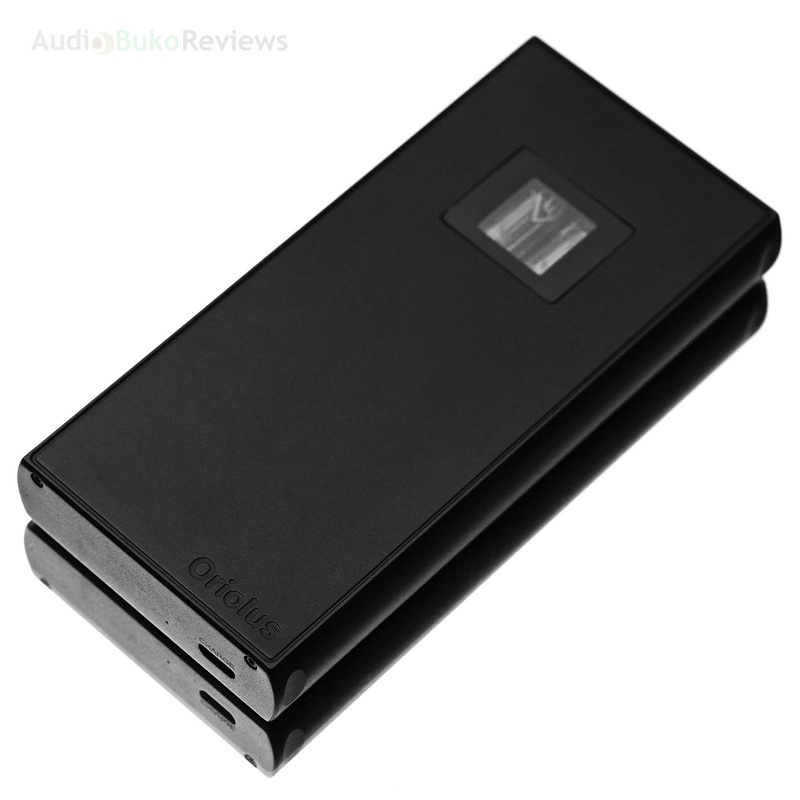 Introduction: For the first time on AudioBuko, we have Oriolus in the house, a company that is no stranger to the audiophile world. 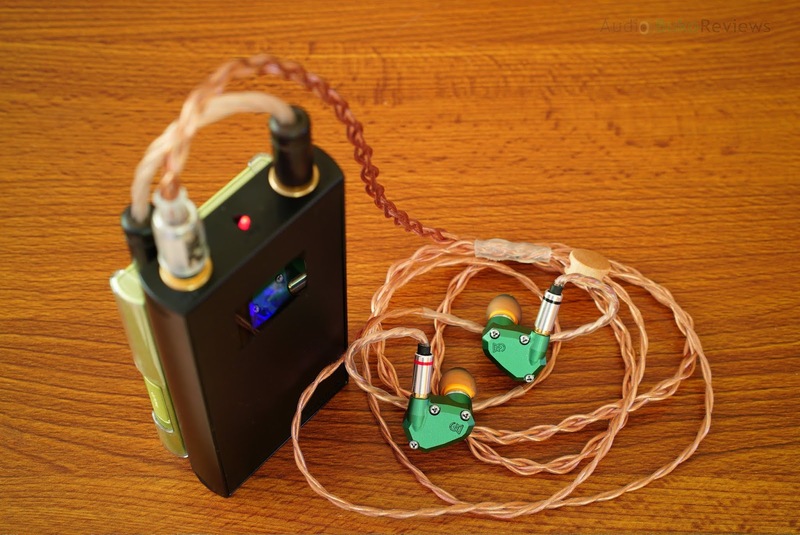 Oriolus is a brand of Cyras Co., Ltd. Japan, which began operations in 2015, and started making audio products like hybrid IEM designs and then later on, producing some of the more rare and interesting portable amps in the market, analog type portable amplifiers. 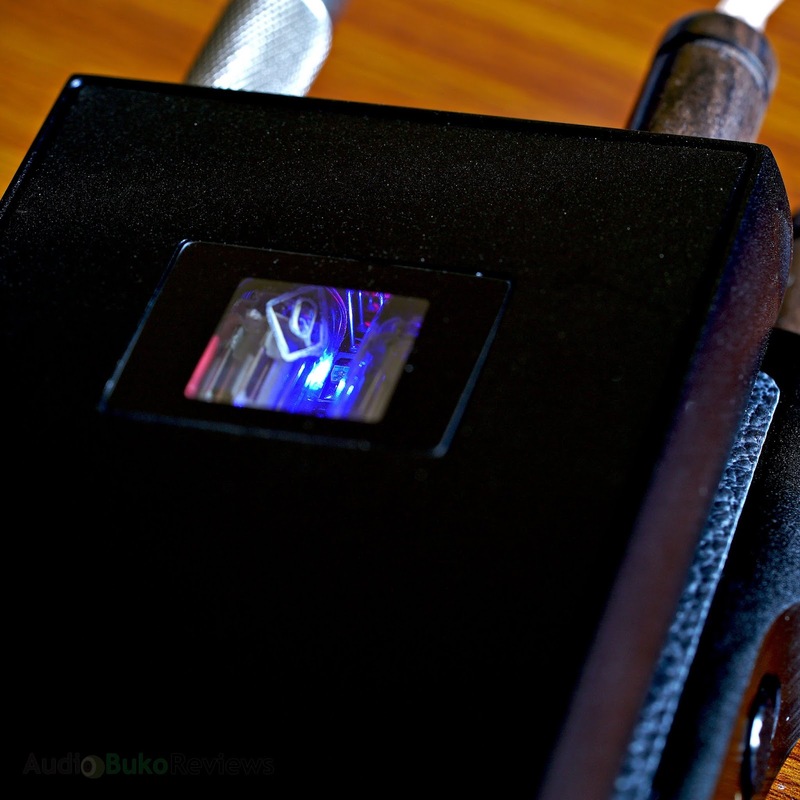 Going through their lineup of amps like the BA-10 OAK and the NuTube VFD powered NT-1, their latest amp, the BA300S, is the most portable and least complicated amp to date. 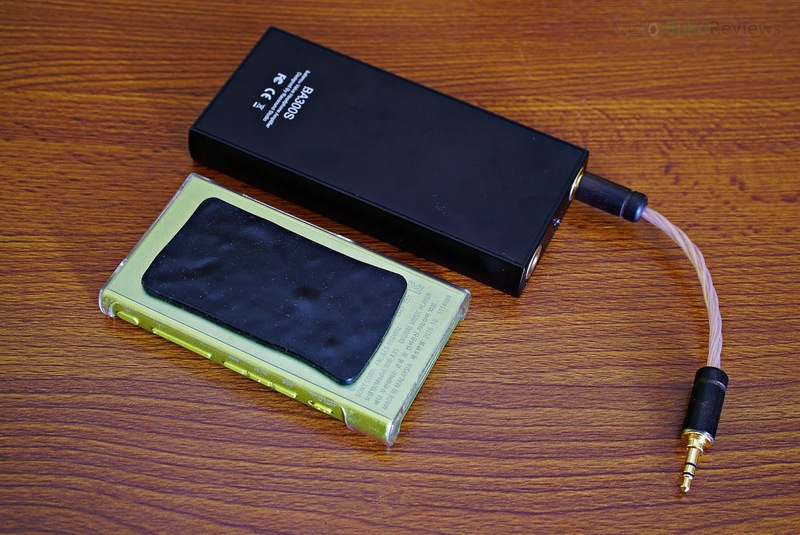 Made with a 4.4mm balanced input and output as well as having similar sizes to the ZX300, WM1A and WM1Z, it's pretty obvious that the target market are Sony DAP users. 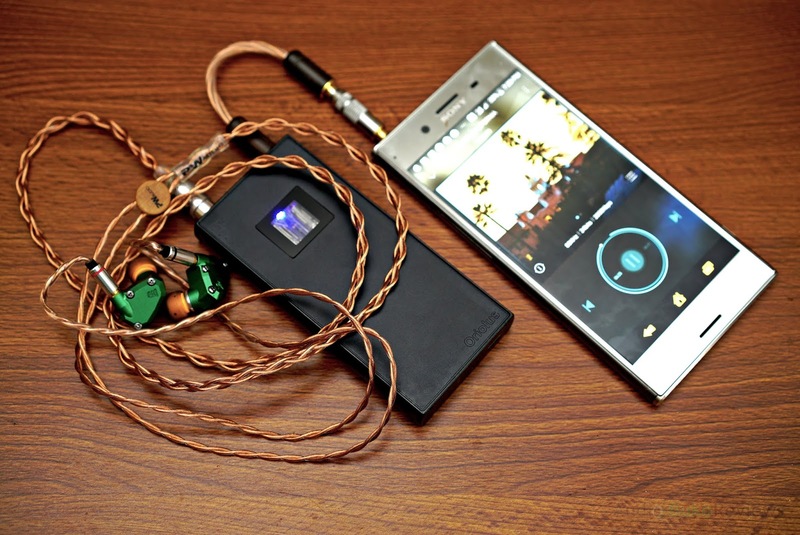 Now Sony players are not known for having the biggest power output compared to other DAPs in their class, but they sound amazing, and that creates a situation where users may need that magical touch so those hard to drive headphones can sing well, enter the BA300S with its hope of answering those wishes. 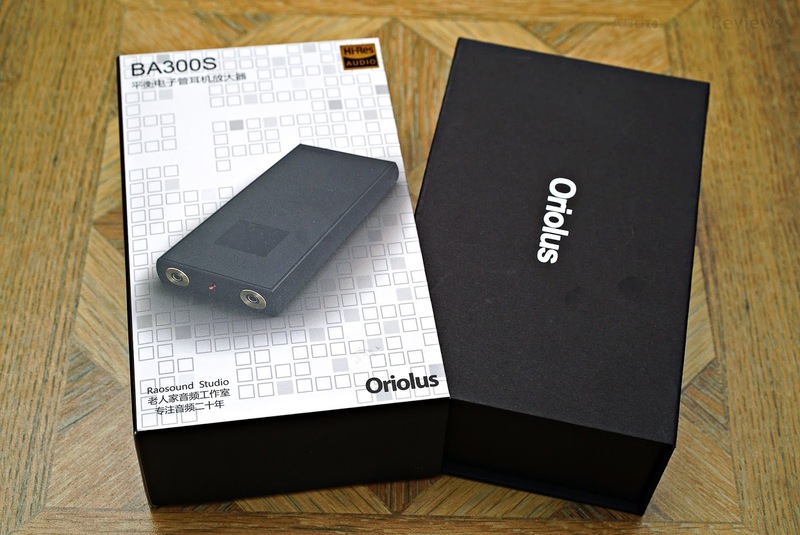 I'd like to thank Oriolus Japan for the discount on the BA300S so I can review the Oriolus BA300S in exchange for my honest and unbiased review. 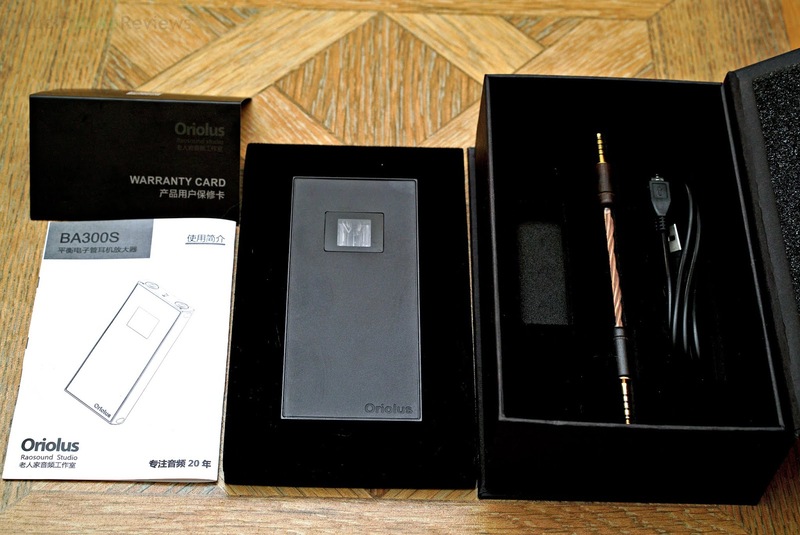 You can get more information at the Oriolus Japan website where it's listed at $415 USD and it's where you can get more information that I might not have covered at the time of this review. BA300s uses two micro-tubes for amplification, Current-Mode Operational Amplifiers (they are flexible analog type amplifiers) with extended output and 4.4mm balanced input and output (can also accept 3.5mm single end and 2.5mm inputs). Superior power management ensures the performance of the whole amplifier. The amplifier does not set the volume control (all volume controls and effects are done from the source). The gain of the whole amplifier is +3dB, which improves the output amplitude of most front ends. 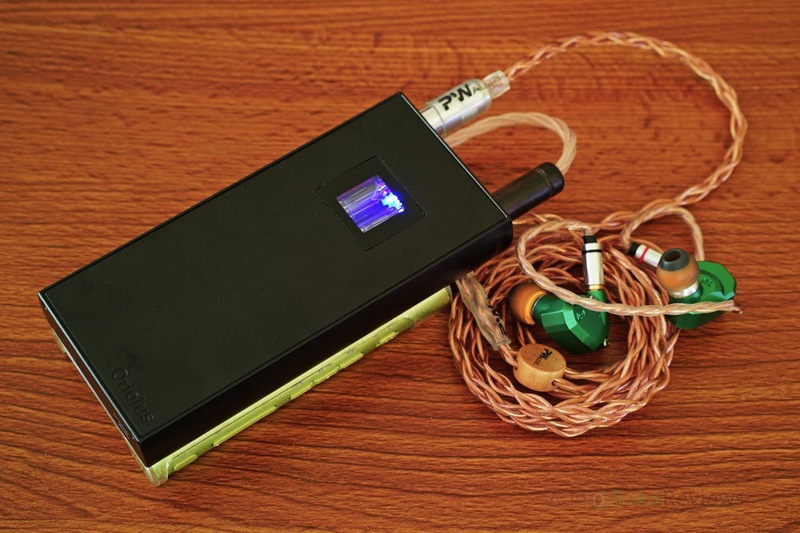 The signal is amplified by micro-tubes, and the output is rich, satisfying the different sound experience of the user. 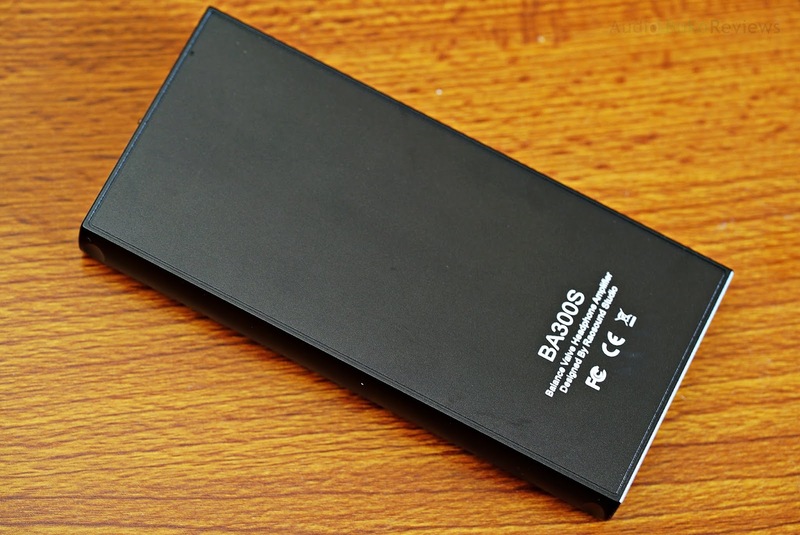 Built-in lithium polymer rechargeable battery charges to full in 3 hours, with a battery life of 7 hours. 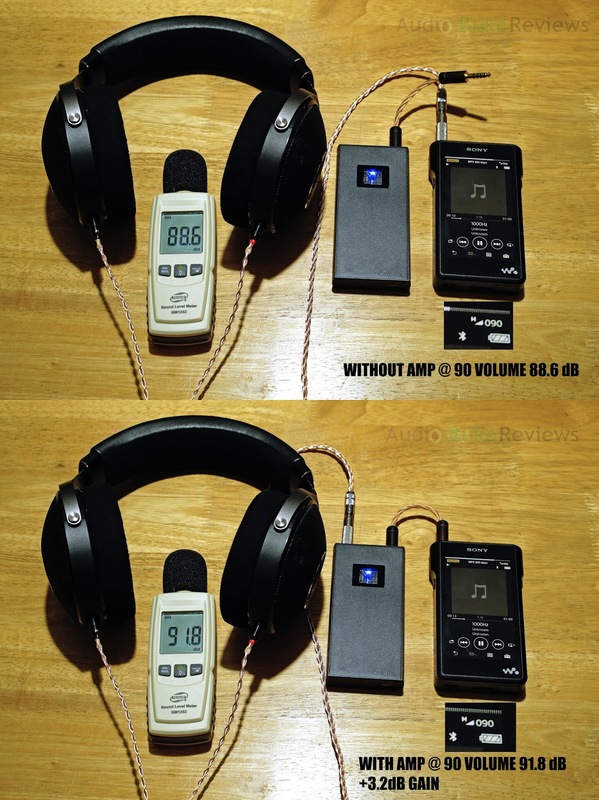 From my tests, the BA300S pushes out 3dB more from your current gear which proves the tech specs claim (You can CLICK THIS to see my setup). And using the Focal Elear and the WM1a at half max volume, the BA300S does a last a little over 7 hours of use, your mileage may vary. Unboxing: The Oriolus BA300S came in a nice box, with a cardboard sleeve like cover for the internal hard cardboard box. 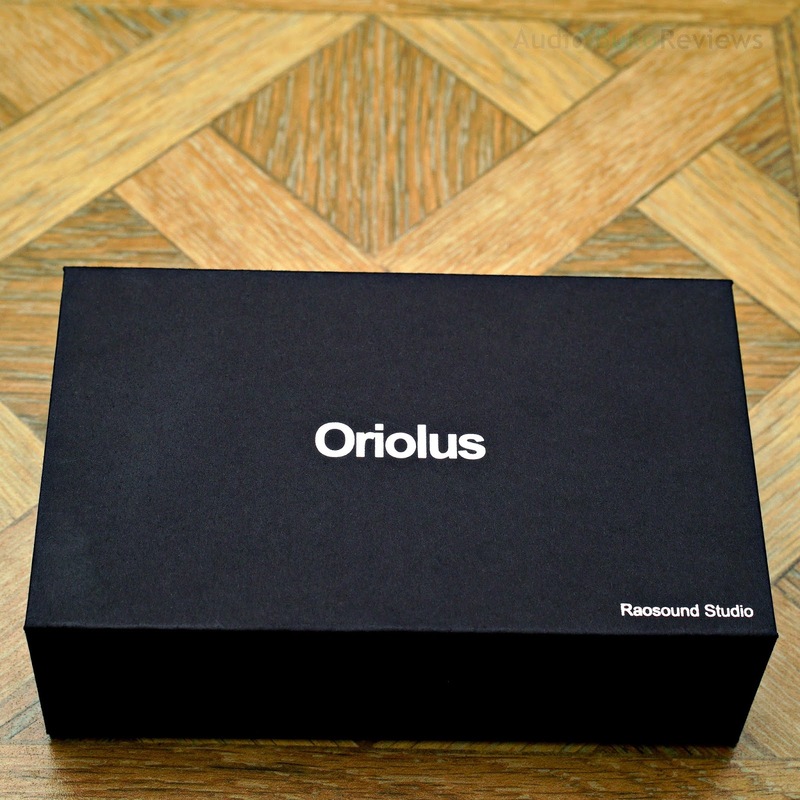 There are pieces of branding and information on the outside of the box while the inside black box has a nice Oriolus branding on the center cover and Raosound Studio at the bottom right. 2. Micro USB charging cable. 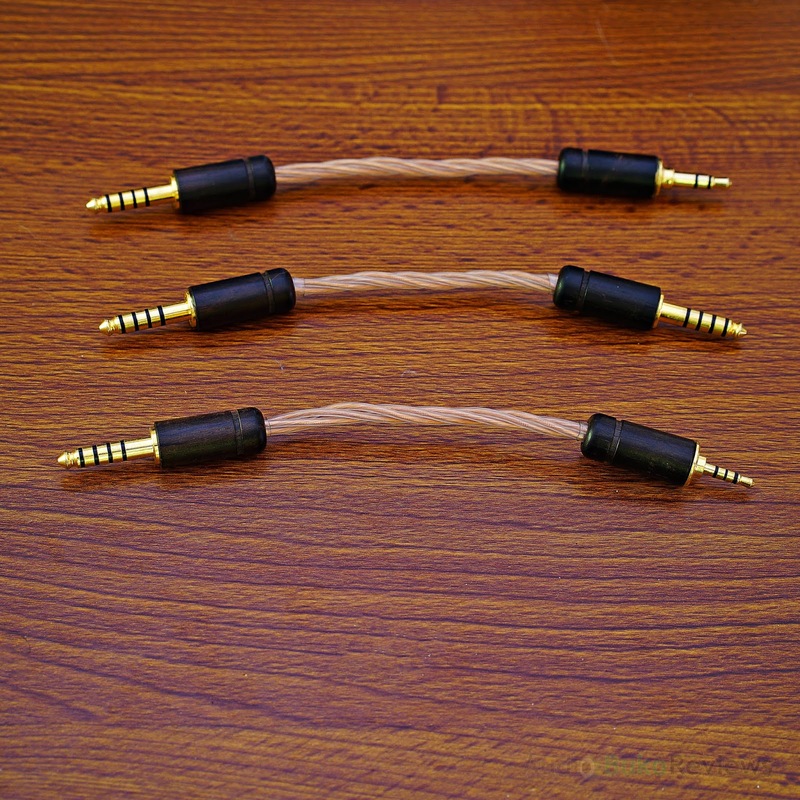 Note: There was an additional 2 interconnects in the same style as the stock 4.4mm to 4.4mm (middle of pic) interconnect jacks, one is a 4.4mm to 2.5mm interconnect )bottom) and the other is a 4.4mm to 3.5mm jack (top). Accessories are subject to change without notice. (and this explains the above information). 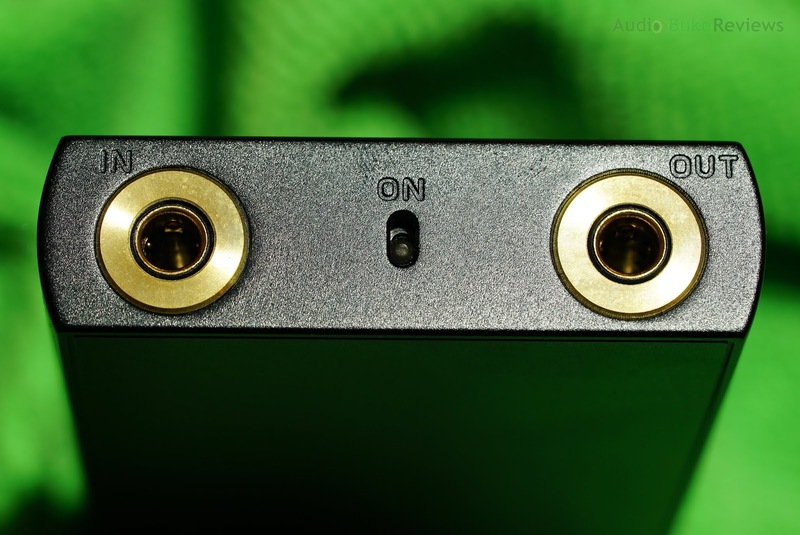 The extra accessories are, likely a sign of things one can pay for in extra to the package, as you can see the box was meant for one 4.4mm to 4.4mm interconnect but can allow unbalanced input or balanced from a 2.5mm source. The sticky pad is quite effective in attaching both the BA300S to any player with any surface (even the WM1A/Z with its textured back) and is like silly putty, it can stretch when being peeled off but returns to that pad like shape. It can accumulate dirt, dust from use, either use a tape to take the dirt and stuff from one side (and do the same for the reverse side) or wash it, it's reusable and does a pretty good job of isolating the heat from both devices and wont bleed into each other. 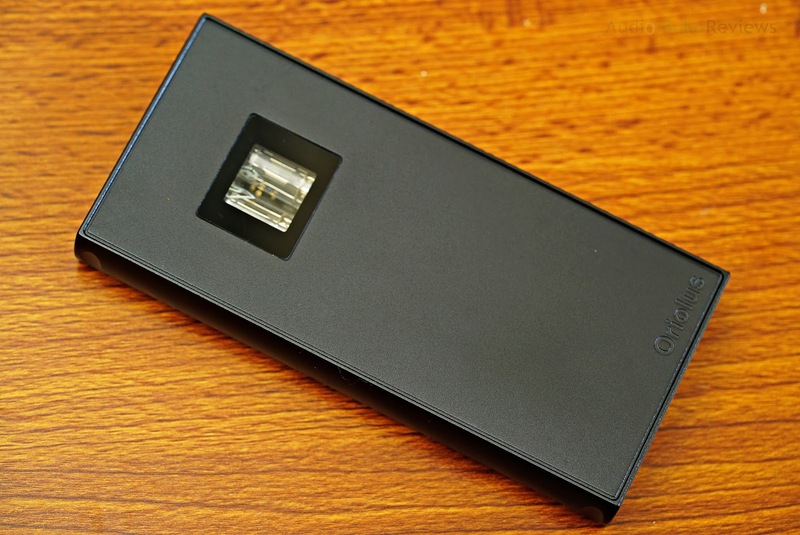 Build/Design: The BS300S' matte black rectangular casing is made from sturdy CNC'd Aluminum which was likely chosen due to weight, ease of sourcing, cost and to make heat absorption and dissipation easier (Aluminum has a thermal conductivity of 237W/(mK), which is over half of the much more expensive and heavier Copper at 401W/(mK) and is more conductive than another popular material, stainless steel at 16.3W/(mK)). This means that you will feel the warmth that the BA300S' generate when in use, vacuum tubes generate a bit more heat than digital amps so you might be a bit surprised at how warm it gets, it's natural and it won't burn your hand, promise. Just make sure you it's not covered in leather or some other heat restricting material so it can dissipate the heat normally. There are indents on the top and bottom part of the amp, one on each side to help guide those stacking bands (or plain old rubber bands). On the back are some information about the device including the model name. At the bottom is the micro usb port for charging and a very small led that turns solid red when charging. On the top of the the BA300S are two 4.4mm balanced plug ports ringed in Gold, too subtly carved on top of each port with IN and OUT. In the middle is a switch with a clear plastic lever that lights a solid red when flicked to the on position, the On and Off indicator is also subtly carved on the top and bottom part of the lever. Also note that when the battery is insufficient or getting low, the red led blinks fast. 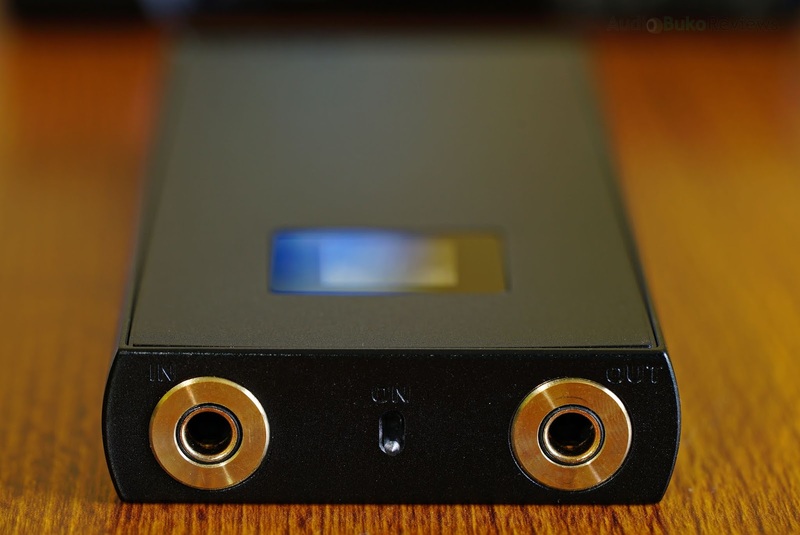 On front, near the bottom, is the Oriolus brand carved into the cover and painted over for subtle branding, and the most visible and in my opinion, beautiful part of the amp (at least when you allow it to be seen) is the viewing window that shows both tubes and is also houses an led indicator. When you turn the amp on, the indicator led lights red, meaning the tubes are powerered and warming up; when the indicator led turns blue, the tubes are sufficiently warmed up and you can make out the orange glow of the tubes. On a side note, it might have been nicer if the indicator leds did not shine directly onto the tubes, because the blue light makes it harder to see the soft orange glow of the vacuum tubes which can be mesmerizing to look at. The tubes are dual 6N16B type vacuum tubes, y'know, just in case you were wondering. 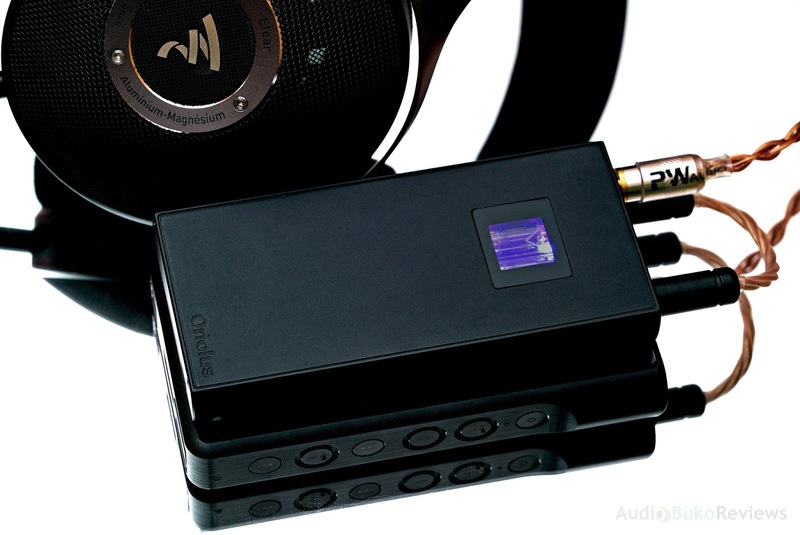 Sound Analysis: During my initial impression of the Oriolus BA300S I inadvertently called it Pandora's Amp, mostly because when I first listened to it, it's like the music that I knew, the music that I loved and cherished with my favorite combo (Campfire Andromeda/Focal Elear) suddenly was JUST better, and internally I felt there is no turning back. I had to scramble a bit to take down notes as to what changed, writing in my usual near-unreadable script. The more I listened, the more I realized that this is no ordinary amp, a device that on the base end, magnifies the source; The BA300S does not just amplify the music, it enhances the listening experience, the tubes in the process amplification, giving a portion of the stereotypical "tube amp" sound to the output you hear, making it quite a unique listening experience. So enough waxing poetic, letting the amp run itself through 200+ hours of use before doing the review proper, I let it sufficiently heat up with use before doing the review which was mostly done on the Sony WM1a, though I have used the Sony A35, Hiby R6, and Audirect Beam to corroborate the improvements provided by the BA300S. Headgear used included the Focal Elear, Campfire Audio Andromeda and Atlas. Note that there is a slight hum (natural on amps like this, which is actually pretty low in comparison as some source shave noted) that is more apparent on sensitive IEMs like the Andromeda and cellular calls/sms give that interference sound if it's very near the amp. Beyond the noise numbers, real world effects of the hum are not as annoying as one would think (it's not a hissy fit which I hate) giving me the pleasure of hearing the Andro sound like this is worth the minor inconvenience (we do listen for pleasure here) and cans like the Elear will render it forgettable. The improvements mentioned below will be in comparison to the source at 85dB and with the amp at the same level of sound output. Bass: In Dragonborn, there is more bass quantity that's quite palpable, it doesn't go overboard or become overwhelming and bass impact is greater with each it of the war drums, it's quite satisfying, there is a little more rumble linger in each instrument and is reflective of the slightly slower speed of decay. Lithium's bass guitar crunches through the music with a bit more realism and resolves well and sounds pretty natural. Way Down Deep shows a little more deepness to the reach of it's drums, more sense of depth and evidently displays a bit more linger. Overall, there is a little more sub-bass extension, more rumble, some more texture, impact, warmth and smoothness. Mids: Pandemic's mids are more spacious, it gains some distance between the instruments and sounds more spacious. There is also a bit of a nudge in the forwardness of the mids with equal amounts given to both the upper and lower mid section of the frequency. There is a small amount of thickness added to the notes and a vibrancy that makes the area more present and more emotive when called for. Treble: Has the least amount of boosting done by the BA300S but it does so in a manner that is still evident, Hit The Lights, there is more shimmer and sparkle with the hats and cymbals played in this track, the sense of air is enhanced to give more space. In Question Of Lust, treble reach is raised a bit and there is more presence in the cymbal crashes area, giving a better sounding expansion to the sound it delivers then decays smoothly. Overall the changes here are not as much as with the 2 other frequency ranges but they do add more to the pot and help give a better listening experience with space, shimmer, sparkle and smoothness! Soundstage: There is a bigger stage granted when using the BA300S, almost an inch for the outer reaches of the ear in distance and a slightly less additional amount of space granted in he other axis of front/back, up and down. This additional space does give a better overall sense of depth, height, width and with the right recording, frontal and back space can be perceived as bigger as well. 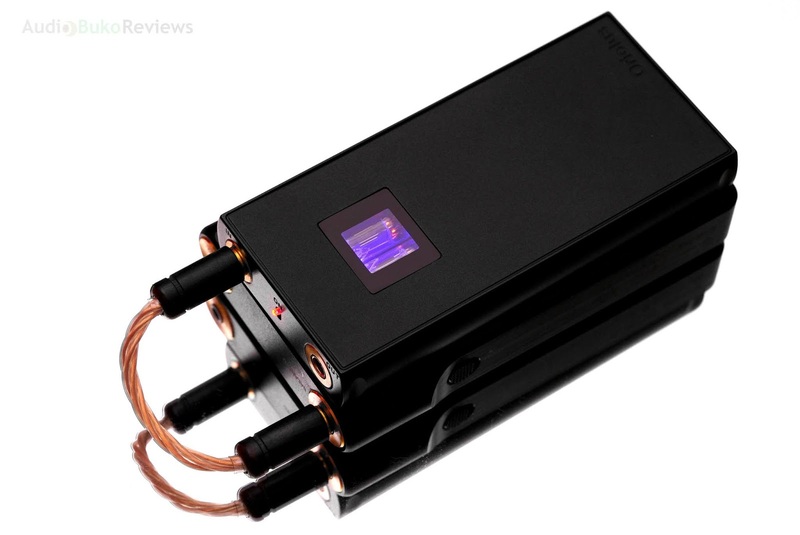 Conclusion: The Oriolus BA300S is quite a marvel, a portable tube amplifier that can provide additional power to drive most headphones and an enhancement to the sound that is quite frankly near magical. The vibrancy BA300S adds to the music is the special ingredient to the whole as most amps can add the same boosts in the frequencies and stage, but the sense of extra life, energy, warmth and emotions you hear with the BA300S is unique to tube powered ones, and the Oriolus BA300S delivers it all in an uncomplex and sleek portable form with enough power to last up 7 hours. The BA300S is able to use both single and balanced sources so nearly any music source will benefit from this amp though the obvious brand that it targets for synergy is Sony, other manufacturers, especially those whose tonality is near neutral will quite enjoy the flavor this amp will bring to the table. The simplicity of having no separate volume knob and only one switch to bother with is pretty brilliant. Pros: The magic of tubes in balanced, very good sonic improvements, portable, relatively light, good construction, adequate amplification to power a good number of difficult headphones, acceptable usage time, input accepts both single and balanced sources, simple interface. Cons: Output is only in balanced, micro usb charging port could have been improved charging speeds if usb-c was used.